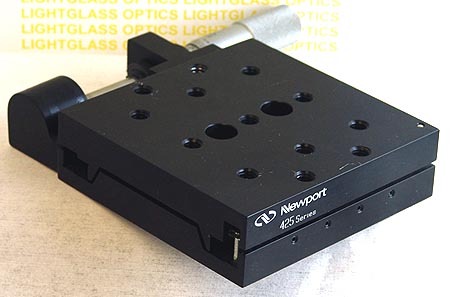 The Newport 425 Precision Low-Profile Stage is now called the Newport 426, and differs only in the micrometer mounts. The 425 and 426 both utilize Crossed Roller bearings to increase both the precision and load carrying capability. The actuator is included.